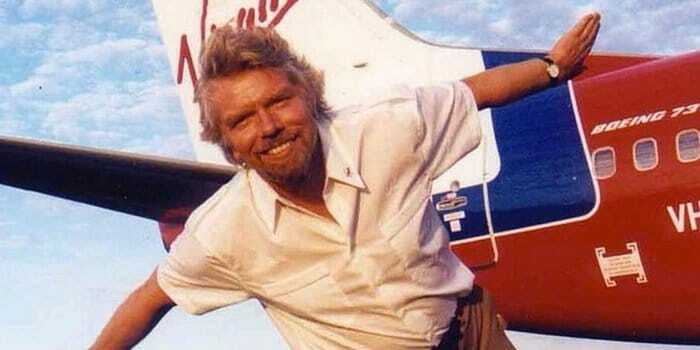 Just like Richard Branson, Your clients aren’t buying into your business. They’re investing in you. The harsh truth is that there are plenty of businesses out there just like yours. There are thousands of entrepreneurs doing what you’re doing. But there’s no one quite like you, is there? 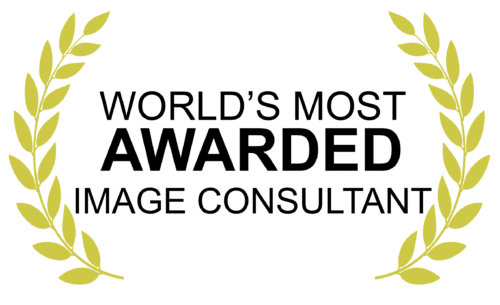 Image Group International helps you make the most of who you are, and maximise your personal power, by helping you create a strong, reputable, magnetic and authentic personal brand, that your clients and customers will remember, and trust. Our personal branding services help you take control of your identity, so you can live a life with purpose, and maximise your personal and business opportunities. Call Image Group International today and to discuss how our business and image coaches can help you stand out in a crowded, forgettable world. We love seeing our clients achieve great things. Jon is a highly entrepreneurial leader who is making a difference to our world in many ways. He is professional and great to collaborate with. Your personal brand isn’t just one thing—it’s everything about you. It’s your identity, the values you hold, it’s how you treat people, it’s how people see you, and it’s how you’re remembered. Whether you’re the CEO of a growing business, or a busy entrepreneur, who you are is the key thing that holds you back, or helps you succeed. This is why in today’s world personal branding is essential. Having a strong, authentic personal brand means people know who you are, and what you stand for. Your reputation will precede you. Throughout our years as the leader in the personal branding industry, we’ve helped professionals like you harness your natural abilities and personality and use these to make a real, tangible difference in your life. You’ll gain the confidence to speak up and make an impact; to get that promotion, to make that career move; to be seen as a leader; to win over those investors; or to position yourself as an authority that people respect and admire. Your personal brand helps you find your purpose, and align your values with your goals. We work with you to help you be confident in who you are—we call it your ‘authentic self’. We empower you to believe in yourself and your skills, so you’re truly proud of who you are and what you stand for. We’ll help you translate these values into realistic, achievable goals, both in your personal and professional life. We will unleash you and empower you to choose your path, and feel completely comfortable doing so. People can tell when someone has purpose. Just knowing that you’re working towards a goal enables you to act more confidently in your professional interactions. This confidence and drive gives you a renewed sense of personal power (and positional power) that your peers will recognise, and they’ll start looking to you for advice and approval. Your increased confidence has a flow-on effect. You’ll be able to make better decisions, harness the positive and useful qualities inherent in both introverted and extroverted personalities, and gain the power to make easier connections in your personal and professional worlds. You’ll be able to broaden your professional horizons and use this confidence (coupled with our proven tools and techniques) to connect with an even wider audience. This confidence in turn builds your influence, as you become the “go-to” person. People will value your opinion more, and seek it out. They’ll recognise you for the work you do, and see the value in what you know, positioning you as a thought leader in your field. Life isn’t all about money—but a lot of the time, it is. As an entrepreneur, or leader-manager of your own business, you need to seal those deals to keep your business or even family afloat. We all have fears, and leaders are no different. I’m sure you relate to that. Being seen as a leader in your field, with an opinion that matters, makes you a person of influence who has a high value. You’ll be known as a person who people seek out, whose services they want, whose business they want to be a part of. This makes it easier to attract higher-value clients, or attract investors who want to be aligned with what your business has to offer—which is you. Look, it’s corny, but this is true. Using our holistic approach to personal branding makes you feel more confident in who you are, more complete, giving you a new sense of freedom. You’ll feel more connected to your personal values, giving you more emotional security, and helping you see that you’re on a path to bigger and better things. You’ll be able to see that you’re making a sustainable difference in both your personal and your professional life, and that you’re living a life that’s worth living. That’s the dream. Poor morale is like a sickness that spreads through your business. It just takes one miserable negative employee to start the snowball rolling. Personal branding for your business is like a shot in the arm: a confident, professional leader is a figurehead your team can respect and look up to. They’ll want to work with you, so they’ll be open to training to fit the culture of your organisation. Your team will understand their roles and how they fit into your business culture. This improved cohesion and intent leads to an immediate positive uplift in morale—and your clients can tell. Motivated, engaged employees who feel like they’re treated with respect have a reason to stay with your business. If they see you as a positive employer brand, they’re more likely to give you their best work, aren’t they? Keeping these skilled, productive employees on your team will make your workforce look much more professional. 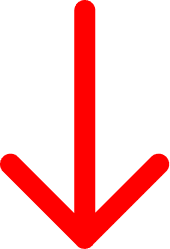 You’ll gain a positive reputation, and at the same time reduce your recruitment and training costs. It’s win-win for all. Employees who feel like they’re respected and part of a team work harder. They feel empowered, and connected to the business’s values and the work they’re doing. This in turn rubs off on the rest of the team. An engaged, hard-working team understand that they’re empowered to succeed. This empowerment makes for an organisational culture people talk about—and your business’s culture is what can make or break your success. A positive and respectful business culture makes everyone feel like they’re part of something bigger. It makes them feel valued, and like the work that they’re doing matters. When your employees feel valued, feel like they’re listened to and cared about, then they actually want to engage with your business’s vision. This improves long-term problem-solving, and better employee awareness. The more aware your employees are, the better they are at creating and working towards a solid set of actionable goals that fit in with your vision, that lead to your business’s success. Your Personal Brand isn’t just one thing. It’s everything. There are some common misconceptions about what it means to have a personal brand. The IGI Personal Branding™ System is a holistic process, focusing on every aspect of your life, using an integrated online and offline approach. Let’s quickly dispel some of the misconceptions you may have heard. Image is important, it’s a fact. We are visual animals, if it wasn’t important the rich, powerful and famous wouldn’t be doing it. But this isn’t just about choosing the right tie, lipstick, or a new haircut. Changing up your wardrobe—in isolation—isn’t personal branding; that’s just what you wear. We help you create a personal brand—style that portrays the REAL you, and HOW you want to be seen—your authentic self. We help you choose colours and styles that match your personality, that are appropriate for your success in the business, and strengthen what you already have going for you. Wearing the right thing boosts your confidence, but your clothing and colours are just one facet of what people see—they’re the headline that keeps people reading further into the story. When we say ‘personal branding’ we don’t mean taking photos of you sipping a latte by the pool while flashing expensive jewellery. We don’t focus on flash-in-the-pan social media fads. We help you build what makes you YOU. We help you strengthen your identity, your personal values, your presence, and your reputation, which in turn affects HOW people see you, both online and offline. Yes, we do help you expand your social media presence and profiles—but that’s only a small part of how we help you. We focus on the full 360-degree view, a holistic approach to your complete life. We’re in this with you for the long haul. We get to know you, understand what drives you, and then work with you to help you achieve your short-, medium-, and long-term goals. You’ll get the confidence, the determination, and build a reputation that helps you grow. We’ll help you achieve immediate goals, absolutely, but we make sure these work in with your long-term outcome. This isn’t a once-off, static change in your life. Our personal branding service is designed to help you succeed in a sustainable way, by filling in the gaps between your goals so you’re constantly moving forward. We’re here for the long haul. With over 135 combined years helping clients maximise and monetise their personal brand, it’s safe to say that we know what we’re doing. And with Jon Michail at the helm, we’re a company that practices what it preaches. Since our inception in 1989 we’ve helped over 128,000 business leaders and their teams (from smaller businesses including names like Deakon, a sales training and consulting service, and family-owned Bray Constructions; up to the big banks like ANZ or NAB to Cadbury, BWS, PWC, and even Google) make a sustainable difference to their organisations, by giving them the tools and ideas to be more effective in their personal and business lives. We regularly invest in researching what works best for you. Image Group International is the only image consultancy in the world that conducts personal image research like we do. That’s because we pride ourselves in advising our clients using real-world problems, and providing solutions backed up by facts—not ego-based opinions. The mentoring and coaching you receive is all based on independent research, combined with our hands-on embodied experience. This is the real deal. To some practitioners personal branding is getting a nicer photo for your LinkedIn profile. At Image Group International we understand that this is only a minute part of the puzzle. The IGI Personal Branding™ System leads you through every aspect of your personal brand, from identifying your values and determining your business goals, to choosing the right wardrobe for that meeting (with the right plan), and getting you speaking and media opportunities. Our proprietary software Reputrak 360°™ helps you manage your reputation online. That’s because taking a holistic approach is our way of being. We aren’t just using it as a buzzword; we truly believe in the power of looking at every aspect of your business and life, in and out. Life’s too short to muck around. It’s all about giving you the confidence and determination to achieve your goals, with things like reputation management, online and offline, and social media accounts fitting in along the way. Check us out online. We’ve conducted workshops and coaching in four continents, across 20 countries, and are the only Australian image consultancy running personal branding workshops and coaching in New York, for top-tier Wall Street companies. But it’s not just our experience our clients trust; it’s our honesty. If we don’t think we’ll be a good fit for you, we’ll tell you. Plus, you can also take full comfort in our 100% money-back guarantee*. With Image Group International, you’ve got nothing to lose—and everything to gain. That’s our promise! Jon-Michail is a world leader in brand and image management.One only needs to meet Jon-Michail to appreciate his depth ofknowledge of the field, and be struck by his ability to transformpotential into reality. Jon’s unique approach towards unlocking self potential, and personalised tailored programs are a leading edge in image coaching. Jon’s style of coaching and enthusiasm are his “brand” qualities. I will highly recommend Jon for any organisation or individual who wants to learn and leverage the power of their brand. Jon helped myself and one of my female staff streamline ourprofessional appearance and eliminate distractive elements. Itwas fantastic to work with Jon who was honest, critical, and yetkind. His words stay with me everytime I give a publicappearance – which is 50 to 100 times a year! Because Image Group International is the only consultancy in the world that does research like we do, you can trust that when you work with us you’re getting practical, real-world solutions that are backed up by facts. No ego. No guru. No high horses. The mentoring and coaching we deliver for you comes directly from our hands-on experience. As we said before, you’re getting the real deal. You call us (from anywhere in the world) and we have a discussion to confirm if we’re the right fit for you. If we are, we’ll organise a discovery session to get to know you better. We’ll invite you to a 30-minute discovery meeting with us. We’ll discuss your current situation, your goals, your needs, and run through some diagnostics to understand how we can best help you. This is your first confidential one-on-one coaching session with Jon (subject to his availability) or one of our master coaches. This will be based on your needs and objectives, whether it’s for your business, your career, or your personal brand. We’ll start the ball rolling with actionable advice and support on how you can improve your brand, so you can begin to see your own potential, and new possibilities. We take stock of where you and your brand are at, looking at your personal status and reputation and your business’s brand and image, and both your mainstream media and online persona, and see how this fits in with your personal and business brand goals, results and success. If you want it, we help you and your team with a full personal makeover, guiding you through your wardrobe (or uniform) and helping you understand how to dress powerfully for positive visual impact. Remember, the only people that can afford to look poor are the rich and powerful and they don’t. After all, life’s a game— and it’s a good reminder to take your business seriously, and your life lightly. From here we continue to develop our relationship with you, by working with you on a personal coaching package. We’ll check in with you regularly to ensure you’re hitting your goals, and that your personal brand is thriving. Our relationship goes beyond the meeting room. We’ll help you leverage our vast network of businesspeople, media celebrities, influencers, investors, politicians, and changemakers. So you can make new connections and open doors you never thought possible. As Australasia’s leading image-making and personal branding consultant, Jon has built his career on 30 years’ experience and success in the industry. He founded Image Group International so he could use his skills to help others maximise their personal and professional potential. As a business leader, however, Jon’s background isn’t what you’d expect. A past award-winning designer with the Christian Dior brand, he saw early on the impact that image has on an individual. That’s right, Jon began in the fashion world. And it was this cut-throat industry where he realised that there was a real need for people to understand how projecting the right image could make or break their career—especially in the business world. This interest led him to pursue further studies in International Business Management at Monash University, Australia and Media Relations at RMIT University, Australia. With extensive experience in corporate communication, marketing, entrepreneurship, sports management, and luxury branding and backed with high level personal development himself, Jon has hands-on experience in what his clients are going through. It was this first-hand knowledge that helped him pioneer the concept of holistic image management, leading him to be regarded worldwide as the image advisor’s advisor. He’s written the book on it—literally. Jon’s best-selling book, Life Branding!, has been at the forefront of the personal branding space since it was first published in 2000, and is still considered today as one of the keystone personal branding texts. What makes Jon connect with his clients is his down-to-earth and real-world approach to business and life. This honest, tell-it-like-it-is approach has helped transform thousands of people in their business, career and personal endeavours. He speaks honestly and boldly, but in a constructive, caring way that comes directly from his well-travelled personal experience. Jon believes in your transformation and won’t hold anything back. You shouldn’t let your fears hold you back either, he’ll tell you that fears are mostly “made up” stories anyway. It’s time to make your personal brand tell YOUR authentic story. Your personal brand puts you in control. Call us today to organise a meeting with Jon to discuss how we can help you maximise your personal and professional potential. We’ll talk about what you’re feeling, where you want to get to, and begin you on your coaching journey. It’s time to take control of your personal brand and get noticed. No problem! Book a meeting with us via Calendly and we can meet you later down the track to discuss how we can help you and your personal brand. Interested in what else we can tell you? Sign up to our The Imagemaker™ newsletter to receive regular updates and helpful tips to keep you on top of your personal branding game. *Richard Branson and the Virgin brand are used for illustrative purposes only and are not associated with Image Group International.